Restore Activ is designed for people with active lifestyles. After playing sports, exercising, or performing any strenuous activities, you may feel tired, sore, or find that certain muscles, joints and tissues require recovery time. Restore Activ contains a balanced and potent blend of serrapeptase, nattokinase, bromelain, papain, among other beneficial enzymes to support speedy tissue and muscle restoration. As a bonus, it also contains enzymes that digest carbohydrates and fats to support energy levels. Restore Activ is free of pesticides, chemicals, preservatives, animal derivatives, yeast, fish or shellfish, peanuts, and tree nuts. All individual enzymes are kosher-certified ingredients, and suitable for vegetarians and vegans. Whether your activities include extraneous exercises such as weight lifting, running, recreational or professional sports, or gardening, power-walking and daily chores, Restore Activ was formulated with you in mind. Our muscles are the cogs of the body’s well-oiled machinery, and it is important to provide our muscles with the necessary environment and tools for recovery and repair. When injury occurs, our body’s natural response recruits proteins (fibrin) and cells to repair damaged tissue. When our bodies are at its healthiest, these injuries are quickly clotted and threatening pathogens are removed, followed by the body clearing the site of debris, allowing the injury to properly heal. However, we lose the ability to repair injuries properly and efficiently as we age, or due to stress, lifestyle or environmental factors. Essential for all active adults, Restore Activ offers premium quality proteolytic enzymes to support muscle, tissue and joint health. 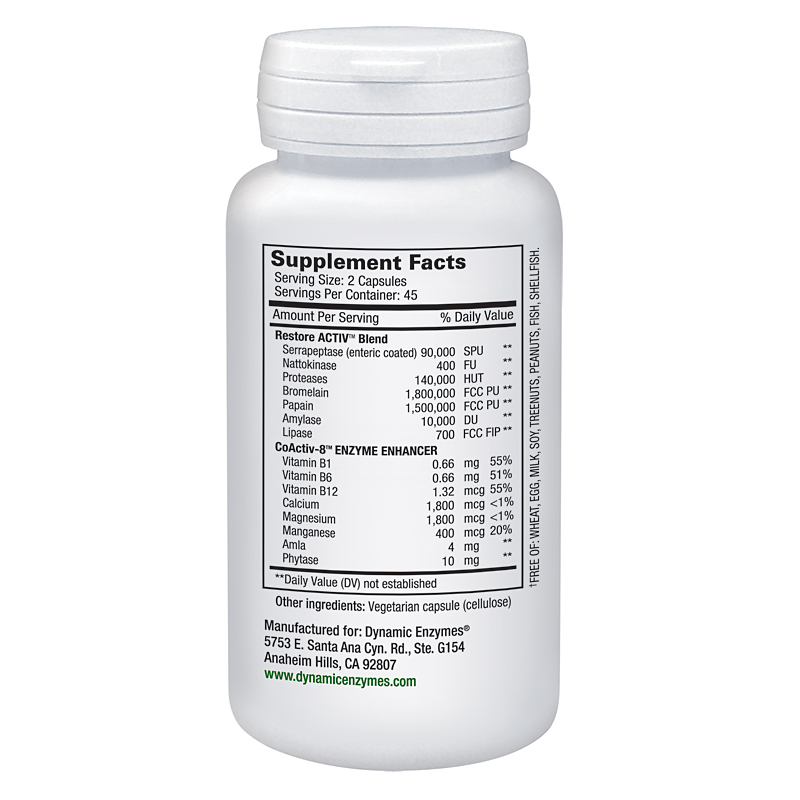 Utilizing powerful enzymes such as bromelain, papain, nattokinase and serrapeptase, Restore Activ’s unparalleled formula works synergistically with your body’s natural responses to provide the ultimate systemic enzyme therapy. 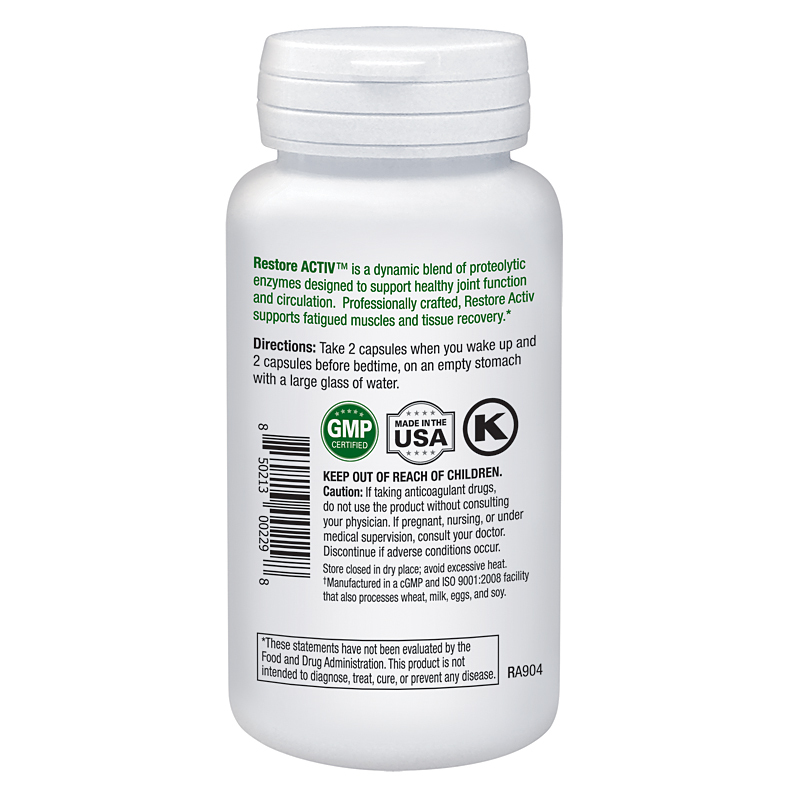 Restore Activ is an efficacious joint health formula designed for highly active adults. It is manufactured in a ISO 9001:2000 and GMP certified facilities, and undergoes rigorous quality testing. In addition, Dynamic Enzymes’ signature CoActiv8 enzyme enhancer ensures all of our enzymes and probiotics work to their fullest potential. 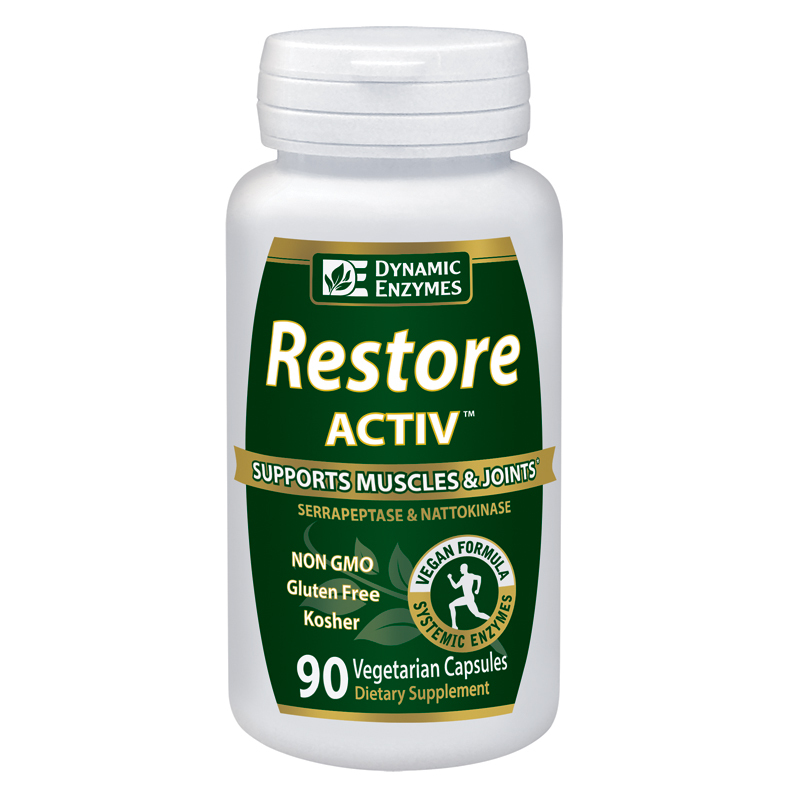 A systemic enzyme formula, Restore Activ promotes the body’s natural mechanism of muscle, joint, and circulation-system recovery. Essential for all active adults, Restore ACTIV offers premium quality systemic enzymes that provide high activity levels of proteolytic enzymes, as well as carbohydrate and fat digesting enzymes to support fatigued muscles and tissue recovery. 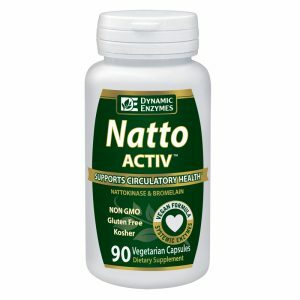 Also, the enteric-coating on Restore Activ’s serrapeptase and nattokinase ensure that these enzymes are delivered to the small intestine to be absorbed into the bloodstream. Unlike other enteric coatings, our unique Methacrylic Acid Copolymer (MAAC) enteric coating is safe and has been listed as Generally Recognized As Safe (GRAS) by the Food and Drug Administration (FDA). Our food-grade enteric-coated enzymes are designed to withstand the different pH levels of the human digestive tract, ensuring proper delivery of the enzymes into the bloodstream. See photo for Supplement Facts box. Take 2 capsules when you wake up and 2 capsules before bedtime, on an empty stomach with a large glass of water, ideally 60 minutes before or 2 hours after a meal. The purpose of taking systemic enzyme on an empty stomach is to ensure these enzymes travel to the small intestine. If taken with food, they will act as digestive enzymes, breaking down the food. Where can I get Restore Activ? Restore Activ can be found nation-wide. Please take a look at our store locator to find a store near you.